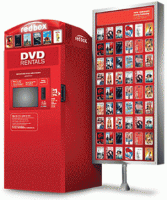 This offer expires 12/14...right now, you can get a FREE Redbox DVD Rental by entering the code 2WM22W3R at the kiosk only. This code does not work online. So, if there is a movie you are dying to see, check out Redbox and see if they carry it! You can get it for free so now is the time. :) Enjoy!